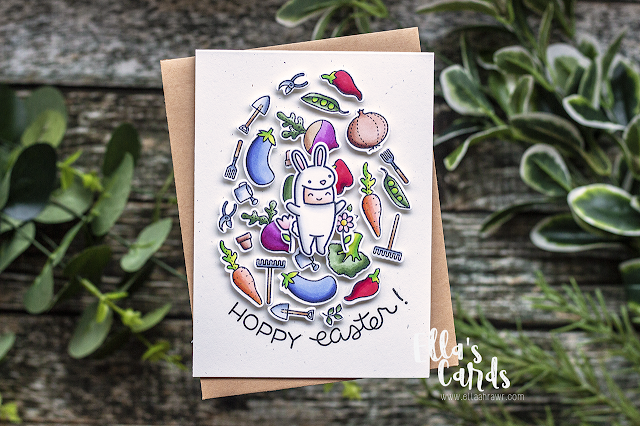 Hi friends, today I'm here for Craft Online to create an Easter Card. 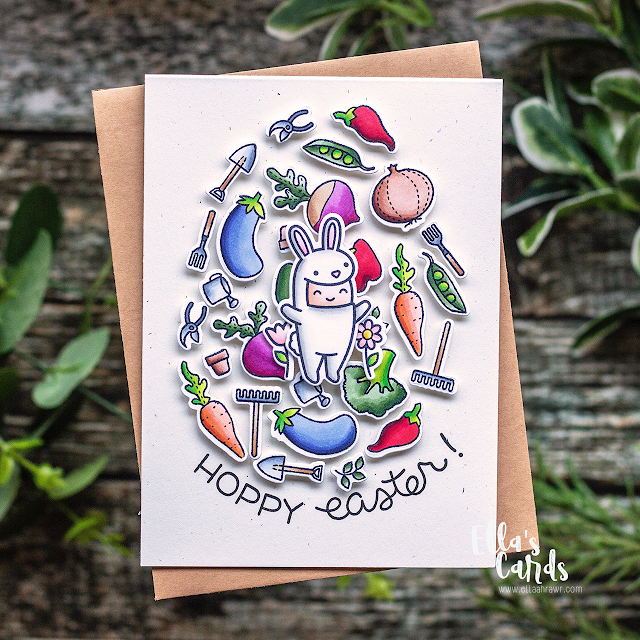 I used the Baby Veggies Stamp Set from Memory Box as well as the Easter Party Set from Lawn Fawn to create it. 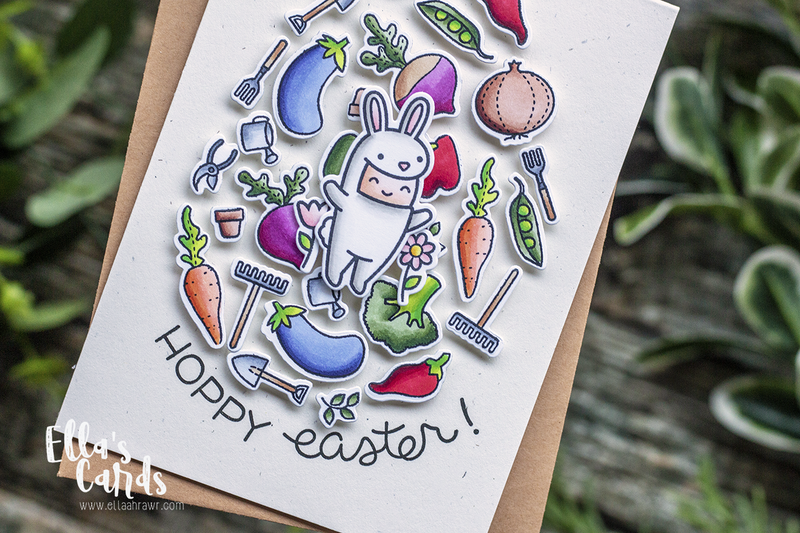 I stamped out my images from both sets and coloured them in with Copic Markers. 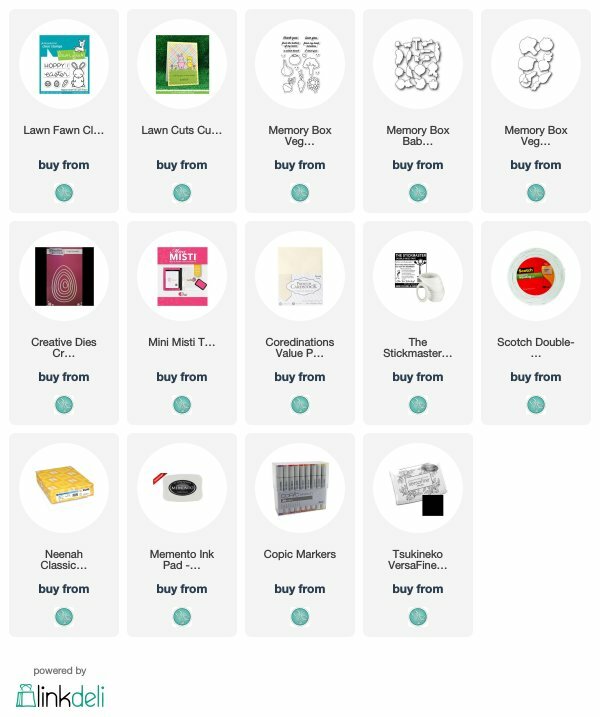 I then die cut them out. I took an egg die, laid it over some cream cardstock and traced around it. I then arranged my images inside the egg shape, added foam tape to the backs of all the images and adhered them down. I added foam to the backs of the bunny and flowers and adhered them over top as well. Lastly, I took my MISTI and stamped 'Hoppy Easter!' 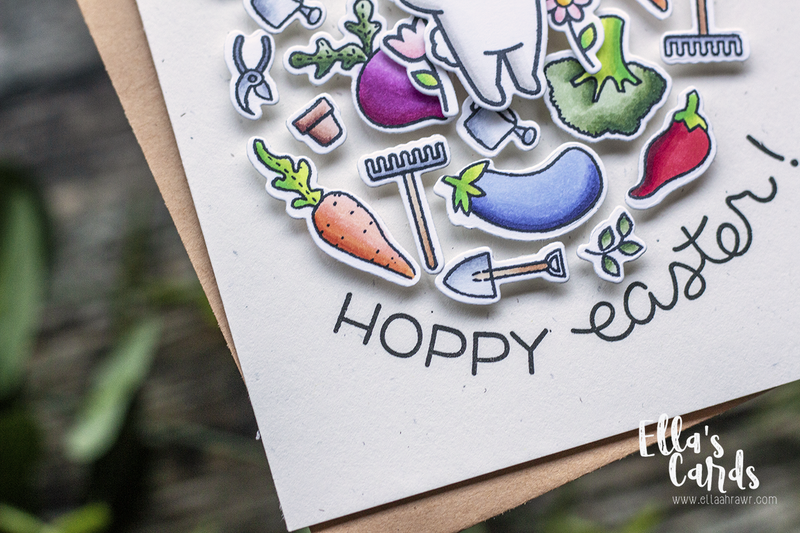 around the egg shape and stamped it with black ink. Thanks for stopping by today, the video is linked down below and I'll see you all next time.